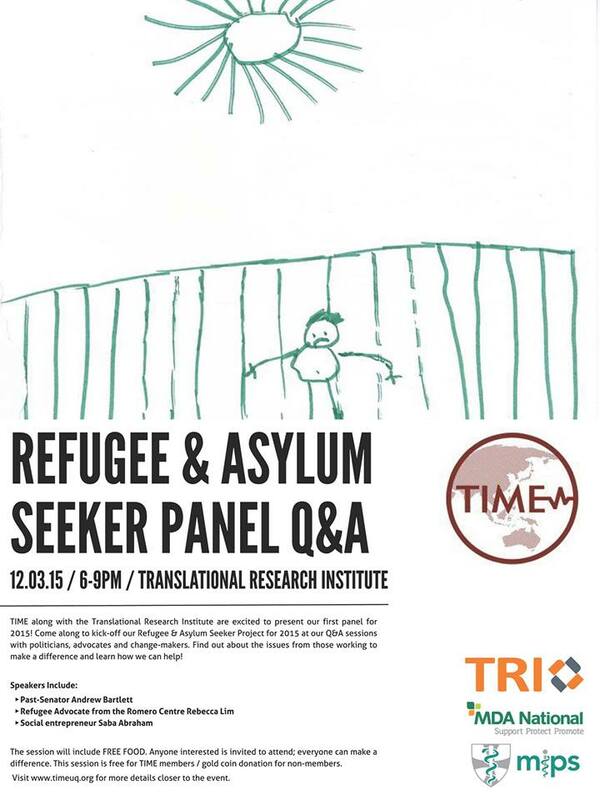 TIME and TRI are excited to present our first panel for 2015! Come kick-off our Refugee and Asylum Seeker Project for 2015 at our Q&A sessions with politician, advocates and change-makers. The panel will be an interesting exploration into the effects of our immigration policies and societal structures on the health of migrants, refugees and asylum seekers.